Diane wanted the Kids & Grandkids in the dining room on the wall. So rather than just hang pictures from a nail I decided to show her what we could do with some Red Oak crown molding & flat boards. What a great idea Glen. I hate just hanging things on a wall with no rhyme or reason to it. Sometimes it is ok I guess. Nicely done Glen. Thank You Derek!! 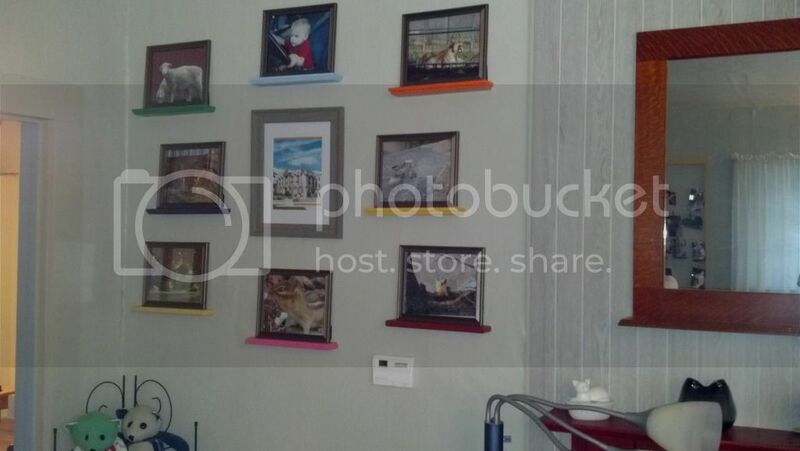 I was looking at ways to hang multiple pics so they can be changed from year to year til they all graduate. I think this will work!! Thanks Eric!! 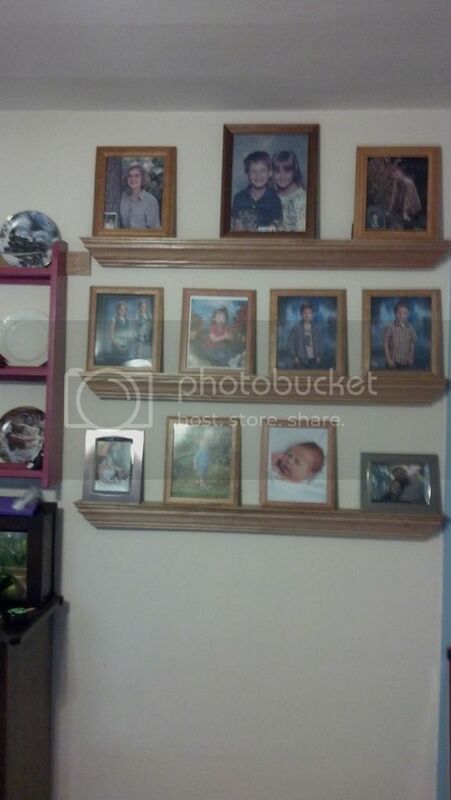 I decided to do this so it's easier to change the yearly pics of the Grandkids out. Eventually their Sr pic will be in each frame. Hope I'm around long enough to see that!! The pics set in a groove so they wont slide off. I used a V bit but a core box bit will work. Here's another fun way to display pics.